In the Old Testament book of II Kings, Chapter 22, we have the story of King Josiah. He became king of Judah (the southern kingdom) when he was eight years old. At the age of 18 he ordered a major restoration of the Temple. In the midst of the rebuilding, the workmen found a book of the law and brought it to the King. Josiah needed someone who could interpret it to the nation. Josiah's religious leaders took the book to Huldah the Prophetess, Huldah was recognized as a woman who could interpret the law and declare the word of God. 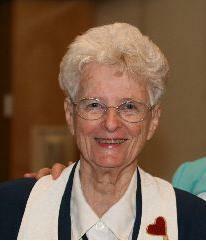 This is a clear example of an officially recognized public teaching ministry of a woman. Huldah along with Miriam the Singer and Deborah the Prophetess/Judge are examples of Old Testament women who had recognized and very public ministries. 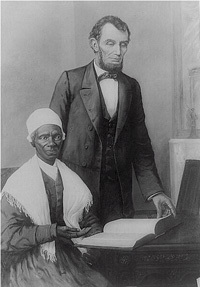 Sojourner Truth was a former slave who became internationally known for her preaching and lecturing. Abraham Lincoln invited her to the White House several times. The big problem with the church's history of restricting public ministries to males is not that women didn't get to minister. They never quit ministering. The problem was that by refusing to recognize the public ministry of women, the church taught by example the very opposite of what Paul had been teaching in Galatians 3. Ultimately the insult of ignoring the public ministry of women was not only against the women who were called to serve but also against the principle that Jesus' life, death, and resurrection called for the transformation of all human social institutions as well as the transformation of each of our hearts.